1. Apprentices are with their Master – I cannot be an apprentice of Jesus if I am not willing be with him, drawing near to him, and observing him. The thing is, I can’t be with Jesus physically, like his original disciples, so how do I go about being with Jesus? Prayer is a good way to be with Jesus. Also, spending time alone with Jesus so that you can listen to his voice. But you have to live your life and you can’t be reclusive, meditating on Jesus all day. This is where scripture memorization comes in. If I can memorize a part of scripture, then I can recite the scripture to myself throughout the day, inviting Christ to be with me in whatever I am doing. Today, I am trying to memorize Romans 5:1. 2. Telling others about what God is doing – My spiritual life is obviously important to me but sometimes I find myself living what Parker Palmer calls a “divided life”. This is where what is important in my heart does not translate to my more public life. 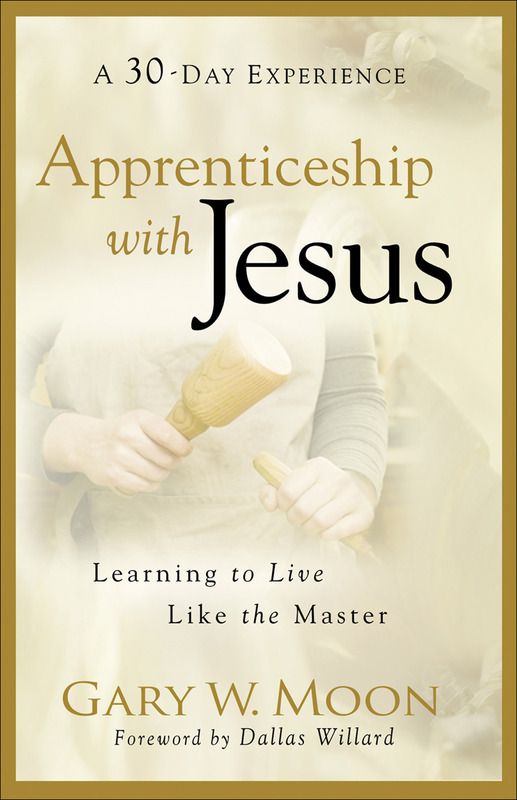 Since beginning this study, I have found myself more open to show and tell people that I am an apprentice of Jesus and I am seeking to be Christlike in all that I do. 3. Being accountable – This kind of goes along with #2. Because I am prone to being a loner and experience much of my spiritual life by myself, I find myself cutting corners and taking the easy way out of challenging aspects of spiritual growth. Through the process of chronicling my experiences with Apprenticeship, I had a built-in accountability process that forced me to ask tough questions about what I was truly dealing with and what was working and what was not. I need to find more ways to keep myself accountable to others. This blog helps but I can still manufacture some things that portray me in a certain light. I need to be more authentic in my approach to this blog and in other efforts.